The team members at A2 Online Marketing have a passion for serving in a more personal way. We are all committed to our client’s success. We aren’t the biggest Online Marketing firm in Kansas City, but we have the biggest hearts. When your customers are online looking for what you have to offer, we want them to find you. And when they find you- we want them to have confidence in your business because you website is more than what they were expecting. We want them to call you or fill out a contact form. We want you to get that lead! We want you to get that business! Then we want your customers to go online and tell the world how awesome you are by leaving reviews on Google, Facebook, and Yelp. Positive reviews will help potential customers see the quality of your business and the cool things that your clients and customers are saying about you! We don’t think our wants are unreasonable. Do you? 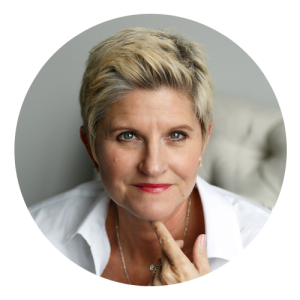 Catherine Kolkoski started A2 Online Marketing with one client. The company has purposefully grown at a pace that allows each one of the team members to deliver customer-focused, personalized attention that puts the client and their unique business needs first. She has been in Marketing for more than 25 years (She doesn’t look old enough, right?) Her skill sets in communication, organization, business development, sales, creativity and leadership benefit the small business clients she serves. Lead generation and marketing has changed a great deal since she first started her professional career as VP of Marketing for a Business Development Company in Scottsdale, AZ. A graduate of The University of Arizona, Catherine has been in online marketing since 2011. She thoughtfully guides her clients to compete online by establishing or increasing their online footprint with an content rich website, social media, SEO, paid social media advertising and local search. She considers herself a creative writer and offers her writing skills to her clients for consulting, website content, blog writing and email marketing. She has a heart for small business and the people that own them. It totally rocks when clients call sharing the awesome news that someone found them on Google. When not in front of her computer, Catherine is hiking and working out at the gym. Her week-ends are filled with date nights with Blair (her husband of 26 years), volunteering as VP of The Parkville Chamber of Commerce, and being with their three kids (Bryce 24, Breezy 22 and Brie 15). She is not a good cook but she does make an great cheese cake. She and her family live and love in Parkville, MO. 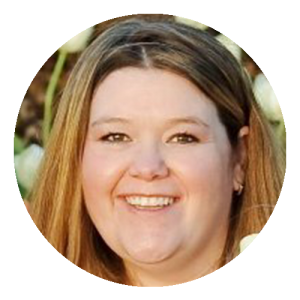 Melissa, a partner in A2, is a 10-year digital marketing veteran and has managed a large number of small business and franchise owners online marketing and business development strategies with great success. Melissa has built a solid foundation of clients through her desire for her clients growth, her determination to try and willingness to listen to the needs of her clients and the business. Melissa’s extensive knowledge of Digital Marketing is exceptional. Her clients have consistently sought her advice and trusted her judgement with their marketing dollars. 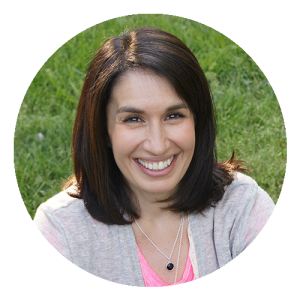 Melissa prides herself on giving all of her clients both individual and institutional marketing, and the most precise and up-to-date information and feedback regarding their online status. She values providing her clients a realistic outlook on what they can expect and achieve with their current marketing strategy. Melissa’s past work experience provides her with a great deal of understanding about small business. With a long family history of successful entrepreneurs, a small business owner and working with several successful companies in both marketing and business development, Melissa has learned how to put her experience and education to good use for her clients. of Communication and a Bachelor of Arts in Psychology and Sociology. She married her college sweetheart and is the mother of two amazing children. Melissa and her family make their home in Overland Park, Kansas. Renee Huepper is a marketing professional who helps her clients grow their businesses through social media marketing and linking strategies. She not only has a real knack for planning and organization, but also a distinct creative streak. After graduating from James Madison University in Virginia (a few hours from where she grew up), she started her career in hospitality and tourism. After advancing in sales and meeting planning for a few years, she shifted her focus to raising her two boys (Mason 14 and James 10). Once back in the workforce, Renee decided to utilize her baking skills and launched her own homemade dessert business—giving many satisfied customers a reason to hit the treadmill. She now uses her creativity for “good,” helping others promote their small businesses. When she’s not doing that, Renee enjoys running, photography, cooking, baking and spending time with her family—her husband (of 20 years), two boys and dog Rosie—at their home in Alpharetta, GA.
John Rood is an experienced business owner, web developer and Internet strategist who has been on web and mobile platforms since 1994. 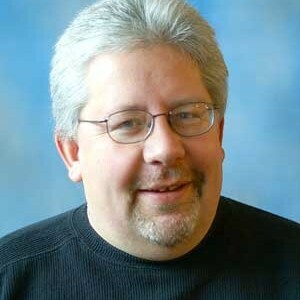 A former award-winning reporter and editor, John spent 13 years with the Lincoln Journal Star and its parent company, Lee Enterprises, a national chain of 44 daily newspapers and more than 200 specialty publications. While at Lee, John headed up the company’s first Internet data center and spearheaded the company’s web initiative to get its newspapers, shoppers and some of the television stations from its former TV division online. A firm believer in the budding open source movement, John helped build the company’s web platform based on the Linux, Apache, MySQL and PHP (LAMP) toolset that would eventually become the standard for most early web development. That same platform was used for Townnews.com, a Lee startup John helped get off the ground. Townnews, aka the International Newspapers Network, today hosts thousands of newspapers throughout the world. While at Lee, John also helped the company launch specialty sites for news, sports, classified ads, real estate and automotive. One of those sites, wheelsforyou.com, continues to be a leading national used cars site with a local sales approach mirrored by Autotrader, Cars.com and other competitors. He also helped engineer a video platform that live streamed one of the early college football games for his beloved Nebraska Cornhuskers. After leaving the corporate world for more family time, John turned his focus back to his first love: Helping small businesses with their web strategies. That mission eventually led him to another open source tool, the WordPress content management system. He began developing sites with WordPress in 2004 while searching for a tool small businesses could use to level the playing field with bigger and better funded competitors. Hundreds of WordPress sites later, John and his company continue to develop small business sites using the platform and have contributed several WordPress plugins and expertise to the community. WordPress now powers more than 60% of the world’s database-backed web site and roughly 24% of all web sites. It will continue to be the dominant small business web platform for years to come due to its ease of use, search engine performance and outstanding mobile application and responsive site capabilities. A founding member of the Newspaper Association of America’s New Media Federation, John has a broad range of experience with server farms, web hosting, site design, application development and marketing. He has been a member of the Lincoln Partnership for Economic Development’s Technology Council and other industry groups. He also has been active in the community as a former board of member of Family Service Association, the North Star Performing Arts Boosters, the Journal Star Employees Credit Union and other groups. John also provides free and reduced cost web hosting services to several non profits, including the National Association of County and Veterans Service Officers, the Family Violence Council of Lincoln and Lancaster County, the Seniors Foundation of Lincoln, El Centro De Las Americas, First Ponca Financial and Santa Cop. When he is not behind the keyboard, John coaches his youngest son’s youth basketball team, volunteers at his oldest son’s high school, is a weekend select baseball junkie and continues to enjoy recreational basketball, baseball and disc golf.